"Speakap understands how an organisation needs to adopt social in its own organisation - and the solution has the flexibility to really mirror what an organisation wants." 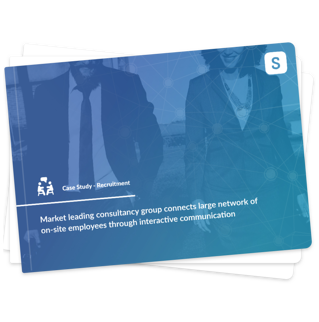 Learn how one marketing-leading consultancy and recruitment group connects its large but spread out network of on-site employees through interactive, real-time communications. This is just the information I need! Leave your details and we'll send you the document right away.